On the morning at around 6.30 a.m, Dr. Ambedkar’s wife Savita Ambedkar got up as usual, when she had a look at the bed she saw Dr. Ambedkar’s leg resting on the cushion as usual. She soon realized that he had departed. She sent her car for Nanak Chand Rattu (assistant of Dr. Ambedkar) and he came. On his arrival Mrs. Ambedkar collapsed in the sofa crying that Babasaheb had departed the world. Rattu could not bear the thought, and with a trembling voice he exclaimed, “What! Babasaheb has departed this world. Rattu attempted to stimulate heart action in the mortal remains by massaging his limbs, moving his arms and leg, pressing upward the diaphragm and putting in his mouth a spoonful of brandy; but they failed to stimulate respiration. He had passed away in sleep. Rattu then broke the shocking news to circles closest to Babasaheb and then Ministers of the Central Government. The news spread like wild fire. 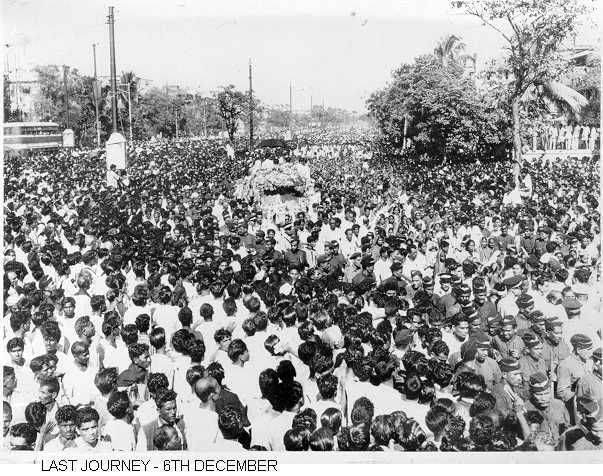 Many of his admirers and lieutenants and followers ran to 20 Alipore Road, and soon a throng of mourners collected outside his residence to have a last glimpse of the great man. The Bombay associates of the leader were intimated through Siddarth College, and they were also informed that the body was being flown to Bombay that night.